Paddling through surf zones and rock gardens is the frontier of sea kayaking and something you can do right now. Why fret about surf zones and avoid rock gardens like the plague? If you are ready to improve your kayaking skills and take the plunge into the next dimension of kayaking, then I have good news for you. 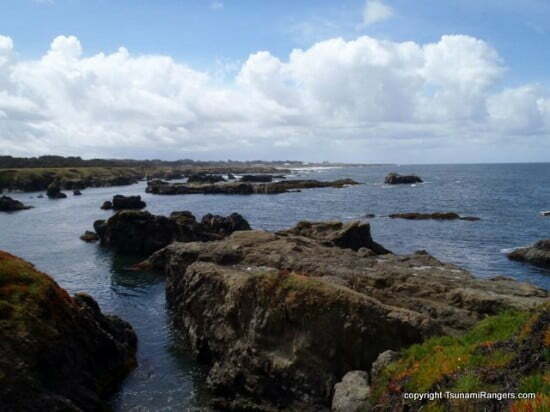 On Sunday, August 21st, the Tsunami Rangers will offer our “HOW TO PADDLE THE OPEN COAST” workshop at beautiful MacKerricher Park near Fort Bragg, California. If you missed the advanced rock garden class with me, John Lull, and Deb Volturno (and other competent instructors!) 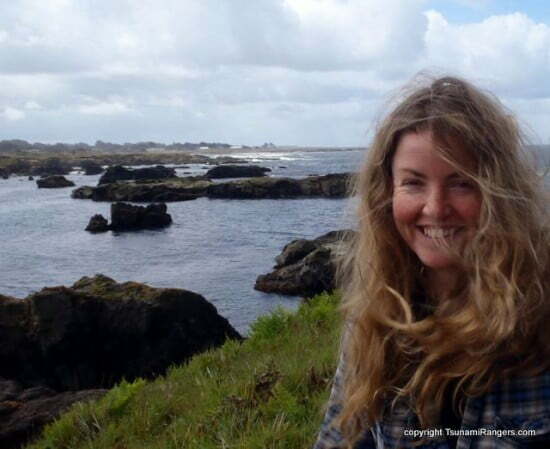 last February at the Golden Gate Sea Kayaking Symposium, this is your last chance this year to learn rock gardening with the Tsunami Rangers. 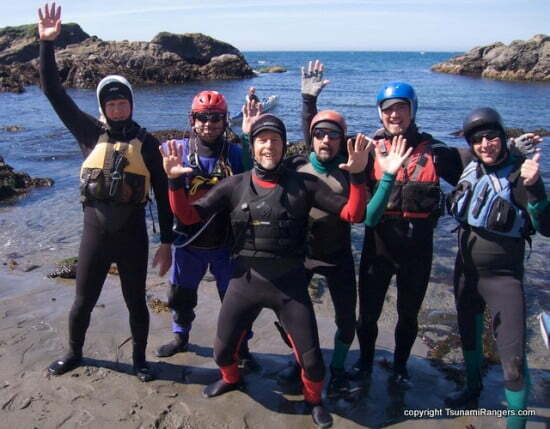 This class is a 1-day intensive on-water workshop for experienced kayakers who paddle sit-on-top kayaks, river kayaks, or regular sea kayaks and wish to become more proficient in rough water scouting, rescues, surfing, rock garden adventure, and storm sea kayaking. We focus on initiative, leadership, and teamwork on the water. We expect you to be able to swim 500 yards and competently perform all paddle strokes. Experience in rolling, rescues, and surfing is desirable. Because sea conditions vary, we will adjust the course to the sea. For example, if the seas are calm, we will center on rock gardens and surfing. If the seas are big, we’ll focus on storm kayaking skills and roughwater rescues. We will also adjust to the skills and needs of our participants. We’ll expect you to be frank about injuries, abilities, fears, and learning goals. If you wish to sign up for this class, contact me at tsunamiranger@gmail.comand I will send you the full itinerary and details about the class. If you have questions, then post them on the “comments” space below this column. It costs $150 per person (with $25 discounts for buddies), and you take care of your lodging and food. This is the best deal I have ever offered for this class. You will also need equipment. 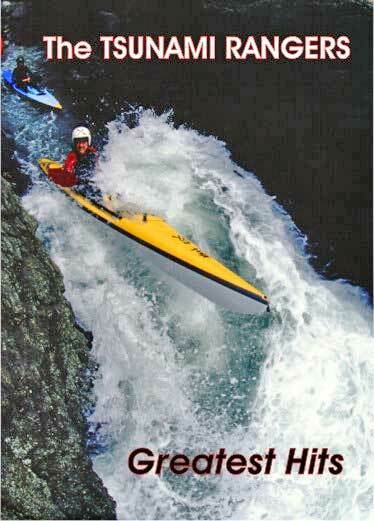 Bring a sturdy kayak and paddle and wear a full wetsuit or drysuit with a PFD and a helmet. You will be in the water! On August 21st, we will meet at 0845 at site #112 at scenic MacKerricher Campground and launch from there. After a lecture and Q/A session on paddling techniques, scouting, and rescues, we will enter the surf and practice launches, landings, and rescues. We will then work on basic rock gardening techniques such as positioning and timing. After lunch, we’ll do more advanced rock garden techniques needed to play in pourovers, reflecto waves, churns, and the like. Students will lead a mission through the complex rock garden in the afternoon. Some participants may not be up to all activities. When possible, we will modify the course to accommodate your needs. Note: our maximum student/instructor ratio is 5/1. That means you will get lots of personal attention from senior Tsunami Ranger officers. Your primary instructor will be me, accompanied by two seasoned expert instructors: Commander Deb Volturno and Captain Jim Kakuk, who have both taught rock garden classes earlier this year and many times in the past. After completing this course, you will have improved your overall kayaking skills and understand the ocean in a more comprehensive way. 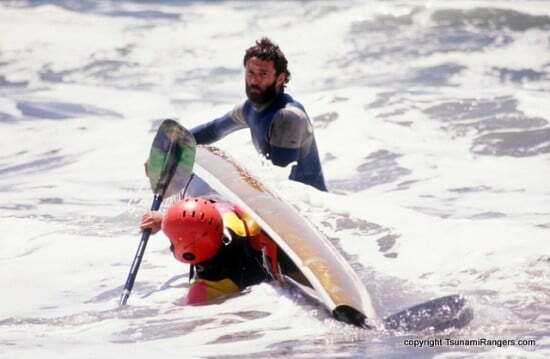 You will be able to paddle on the open coast more efficiently, competently, and safely. Secure your position in the class by registering now. There are three people already signed up. The maximum number of people in this class is 15. 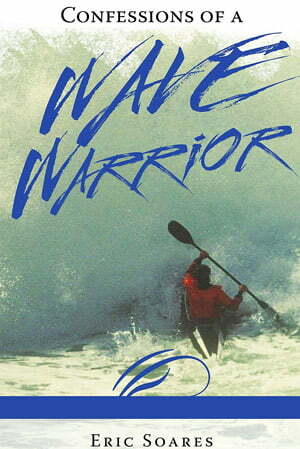 To register now for the HOW TO PADDLE THE OPEN COAST workshop, contact me directly at tsunamiranger@gmail.com. As a special bonus, Helen Wilson will teach rolling classes on Saturday, August 20th, also at MacKerricher. She will teach a basic rolling class and a “Combat Roll” class to help students become comfortable rolling in surf and rocks. You can make the most of your time on the Mendocino coast by taking one or both of her rolling classes on Saturday, then taking the HOW TO PADDLE THE OPEN COAST workshop with us on Sunday. Get acclimated to the MacKerricher area, test your equipment, and hone your rolling skills with Helen. This will greatly help you with our class the next day. For more information on Helen’s rolling classes, and to register for her classes, contact Helen directly at helen@greenlandorbust.com. Check out her website at www.greenlandorbust.com. Want to know more? Questions about the OPEN COAST class? Concerned that you are not ready? Please share your thoughts and queries by commenting below. Sounds like a fun, exciting, and informative class Eric. And you’ve picked an excellent location. To my readers: I must apologize, but a glitch in my host the other day erased the first 5 comments, and they are not retrievable. Sorry about that! The glitch also caused this post to look funny, and I couldn’t fix it. Everything is okay now, but I’m going to leave the post as is. Please feel free to make comments and ask questions. I have substantial coastal experience and am competent in the surf. 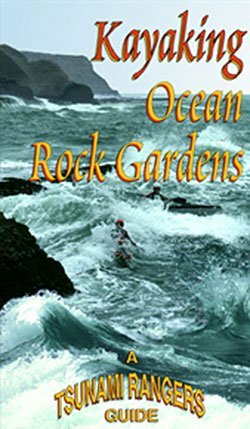 I am interested in this class to continue skills building with rock gardening, the mere fun of paddling with excellent coaches and to explore a new coastline. I attended the rock gardening class at GG Sea Kayak symposia this past year with the Tsunami ranger team. We split into smaller pods AFTER LUNCH. Although I took away some nuggets, from a students perspective, I would have gained much more if we were in small pods from the beginning. Will you be splitting the group in smaller pods according to skills and experience? If so, I am looking forward to it! 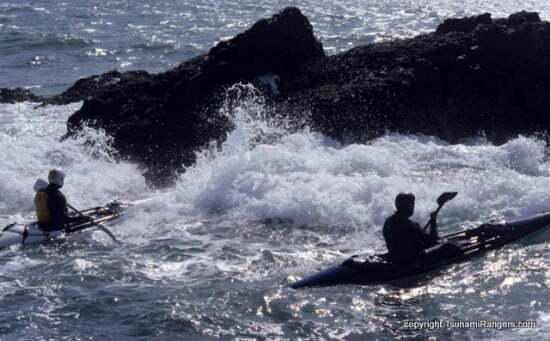 I’ve taken the “How to Paddle the Open Coast” workshop several times in Princeton/Fitzgerald Marine Reserve, and once at Sonoma/Mendocino Sea Ranch location. I admit that I had a certain amount of fear and trepidation before taking the class for the first time. This was quickly replaced with trust and confidence as the class unfolded. The class is very comprehensive. Eric and Jim are excellent instructors; they’re very informative, interactive and intuitive in their teaching style. I found the class highly worthwhile, and really fun. I learned a great deal from the class each time I took it. Thank you, Rainer, for your endorsement. That was kind, and I do appreciate it. As for your excellent question, Priscilla: Yes, after a short group activity, we will split students into pods based upon their skill and goals for the class. Having 3 instructors will make this possible. Hopefully, students will be able to optimize their learning experience. in order to acquire numerous benefits.